It's been a long time since I was an avid reader, but I at least used to read a book every Lent, something spiritual in nature. 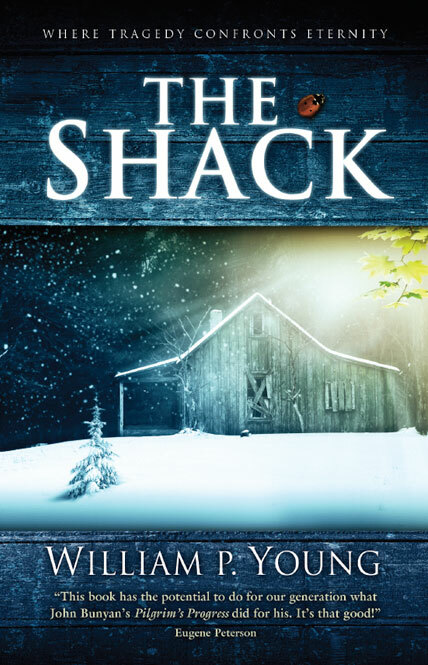 I can't say I do it any more, as we've entered the Lenten season on Wednesday (March 1st) and I don't have a book poised at the ready, but back in 2007 my minister at the time, suggested I read William Paul Young's "The Shack". Magical realism is a good way to reach me, as suspension of disbelief comes easy. I remember after reading "The Shack" I felt very good about God and started to see my relationship with the Source of All things in a better light. But on this realm we call Earth, it's just so easy to lose touch with our higher selves, with the Trinity, and with peace. So I fell back into my usual mistrustful relationship with God, knowing there's something there, but having too many questions and too many doubts to always be in a truly positive relationship with God or Jesus and especially myself. I totally forgot about "The Shack". Cut to 2017 and I hear that Octavia Spencer will be playing God in a movie. Move over Morgan Freeman :) Then I hear the title of the movie, and I'm like, "Oh, I remember reading The Shack", can't wait til this movie comes out". There was only one press screening offered and no general audience preview screenings. However, I did get to run a contest to give away tickets to see the film during it's run of engagement. I know "The Shack" has a lot of detractors. And in fact many Theologians call it dangerous theology; only the author, William P. Young, said he never intended to write a theological treatise. He wanted to write a parable; so it's not based on a real experience, but at the same time, it delivers truth. Well, it may hit you as truth, depending where you are in your spiritual journey. It's also just as easy to dismiss the book/movie as ridiculous and too simplistic. T&T Short Synopsis: Sam Worthington, who I haven't seen in a while, but I think he's aged very well and what a nice head of hair! Anyway, he plays Mack a father of 3, seemingly happily married, normal household, when tragedy hits during their family camping trip. His wife (Rhada Mitchell) is not with them on this weekend trip, she's got work to do or something, it's not a big deal; but when his older son and daughter's canoe tips over and he has to go save his son from drowning, he leaves his 6 year-old daughter unattended at the trailer, giving a predator enough time to grab her. Her body is never found, but the police do trace the kidnapper to a shack not far from the camping grounds where they find her dress. Of course living with a tragedy like this is impossible for the whole family, but especially hard on Mack who blames himself. Sometime after the loss, Mack receives a mysterious invitation in the mail to return to that shack and meet "Papa" and what he experiences there with the personifications of God, Jesus and the Holy Spirit, changes his life forever. The Shack is a symbol for our souls or metaphor for the place we get hurt and stuck. The idea is that God doesn't want us to stay trapped in guilt, anger, fear, disappointment, hatred, grief, no matter what you've done or what's been done to you. God wants you to get back to joy or find joy if you've never experienced it. The way to do this is to meet God, in all his parts, and let him into your "Shack" to help you make a clearing. 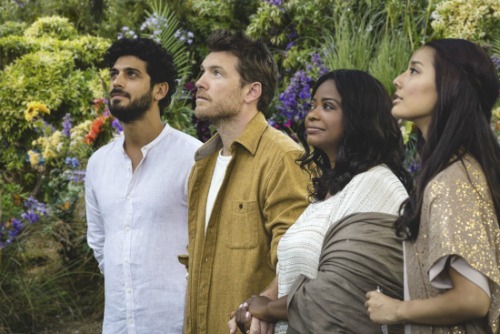 The Shack is directed by Stuart Hazeldine and it's not really a movie I can review with objectivity; although, I think each role is perfectly and beautifully cast, and the production value really brings the book alive. But it's more a movie judged on whether or not it touches you. I was touched enough to cry in the arms of a movie theater manager, whom I'd never met before - I was trying to get myself together after the film in the lobby, blowing my nose, still sobbing and he came over to give me a hug :) I'm not saying seeing a movie is going to heal everything in me or you, it's not a miracle, don't I wish, but it did remind me that maybe I don't need to have all the answers right now, except to know that God is especially fond of me.